For those of you who know me, you know I have a passion for long bikes. I firmly believe that if you set them up properly, you won’t find a better ride. I believe in doing the math, get the geometry correct and you will have the ride of a life time. 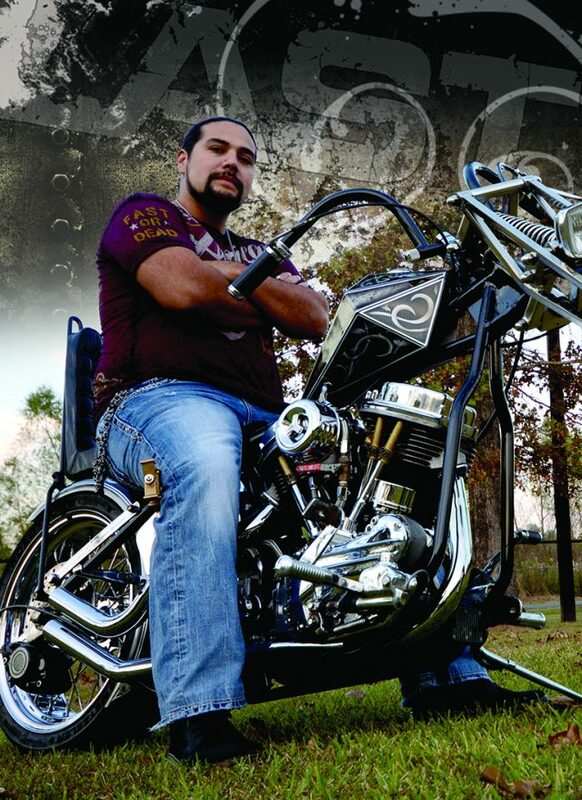 My good friend Willie Galvan also has a love for long bikes: he just uses a little different method to get there. But first, let’s step back and see how this beautiful Panhead came to be. It all started back in 2011 when Willie found a 1964 Pan in Oklahoma. The previous owner had already started modifying it. 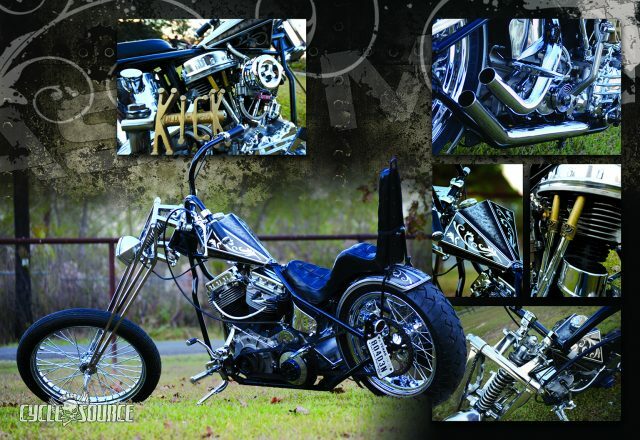 Willie brought it back home and pulled the motor and brought it to Steve Duncan over at Dunc’s Hog Shop to rebuild it. The motor is a 64’ bottom end with STD heads. It wasn’t until we decided that we were all going to go to Sturgis that year that Willie decided to go full on and build a chopper. You might think no big deal, but Willie made this decision 2 weeks before we were to leave. Willie had never done anything this extensive on a bike before. He scored the 10 over girder from Dunc that he had laying in a corner for $50. The tank was a gift from a friend of his, Mike Craig. This is where Willie’s method of chopping the frame comes into play. He set the bike up on his table and bolted up the new front end. With the front of the bike lifted he cut the lower part of the neck, then started lowering the bike until he gets the stance he wants. Once he gets it where he wants it, he proceeds to re-gusset the neck. Oh by the way, this was Willie’s first attempt at welding. He goes at it day and night for the 2 weeks and manages to get it together the day we leave, but has yet to ride it. We make it to Sturgis and Willie gets ready for the shake down ride, and I’m riding right next to him keeping an eye out hoping all goes well. He rolls on the throttle, and to my disbelief, that thing runs straight down the road. We ran all over the Black Hills that week and the bike ran great. Fast forward to 2016, Willie decides it’s time to freshen the bike up. He had been having some minor tuning issues, so he brings the bike over to my place. I went through the carb and made some pushrod adjustments and the bike ran like a top. He takes the bike back home and in typical Willie fashion he waits until 3 weeks before the Lone Star Rally in Galveston to completely disassemble the bike and do a full make over. He sends the tins out to Jerry Leach for paint. Willie gives him the direction he wants to go in and Jerry put his spin on it. I have to say, it came out awesome. Willie painted the new set of bars. He added a sweet king and queen seat from a 60’s Triumph. 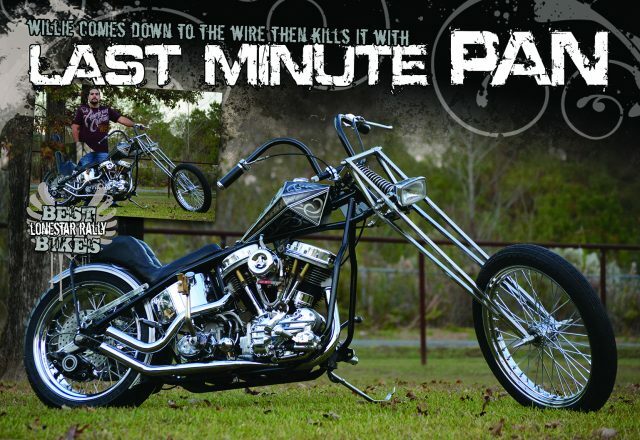 For the new seat, he needed a new sissy bar, so he whipped one up from scratch. 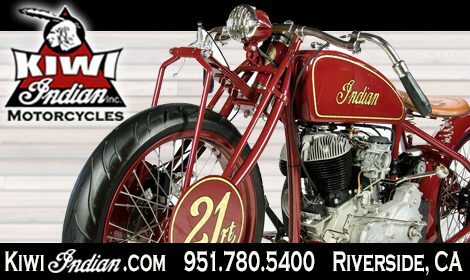 He also put on a set of Indian Larry pushrod collars. Again, he worked day and night to get it together in hopes of taking it to the Ride in Chopper Show put on by Cycle Source. I was sitting at the show waiting to see if he was going to make it. I had given up hope that he would show but just as they were cutting off registration, around the corner I see the profile of that sweet chop that I’ve known for so many years. The changes he had made were subtle but wow what a change! Apparently, I wasn’t the only one that thought it was an awesome scoot. He won Best Chopper at the show, well deserved. I’ve known Willie for a little over 10 years now, and he is a stand up dude. He believes there isn’t any reason to build a bike that you don’t ride. He’s not in it to see how many likes he can get on social media, as a matter of fact I don’t even think he is on social media. He does it because he is a true chopper guy. It just goes to show, that you don’t need a bunch of expensive tools and machines to build your dream machine. Just the will to work hard and learn what you don’t know, and don’t be scared to try anything. You don’t know what you’re capable of accomplishing until you try. 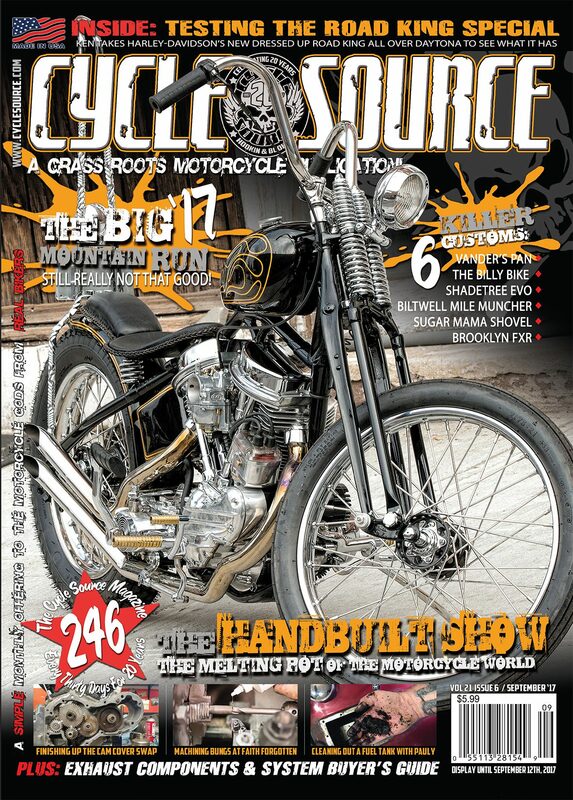 This entry was posted in Feature Bikes and tagged Back Issue, Cycle Source, Cycle Source Magazine, Feature bike, Last Minute Pan, Panhead. Bookmark the permalink.